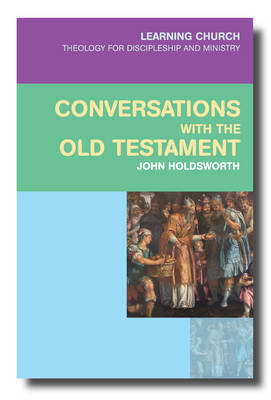 The titles are available from SCM Press. * The Learning Church series has been inspired by Jesus’ call into Discipleship and by a vision of the Church taking that call very seriously. * Jesus’ call into Discipleship challenges men and women to look at themselves, to look at the world, and to look at the Church through a new lens shaped by the theological resources offered by the Bible, by Christian Doctrine and by their evolving experience of God’s activity in God’s world. * The Learning Church series takes seriously the everyday experiences and the ordinary theologies of Christian Disciples as they reflect on their lives in God’s world, and helps them to draw on and to be enriched by the resources of the Christian tradition. * accredited and validated programmes concerned with education for discipleship and with training for ministries. Church leaders have welcomed the Learning Church series as making a significant contribution to the education and learning mission and ministry of the Church. The Rt Revd Robert M E Paterson, serving as Chair of the Central Readers’ Council, said that: We have been through a generation or more in which we encouraged Christian people to ‘lay ministry’, resulting in more and more people designating little areas of life as their ‘ministry’, many churches look like ‘all chiefs and no injuns’ and numbers continue to plummet! The mistake, in my assessment, is that we devalued commissioned, accountable ministry and discipleship. 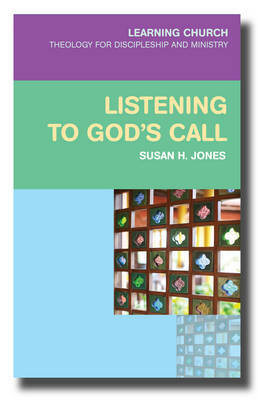 Disciples are the stream from which mission flows, they are the people who have responded to the call of Christ, ‘Follow me!’ This material will support the development of discipleship in the churches, and in addition support the public ministry of Readers and other lay ministers as they help others to explore faith by bringing God and his ways into the conversation. The direction which the contributions use to draw the readers (whether individuals or groups) into the subject is both helpful and attractive. They have observed human nature and this appreciation of how we learn and respond has informed their writing, and they are also deeply immersed in the Scriptures and the four thousand years of Judeo-Christian belief and practice. Knowing, as I do, three of the authors, leads me to trust what they write. I might not agree with every word, but thank God for diversity! 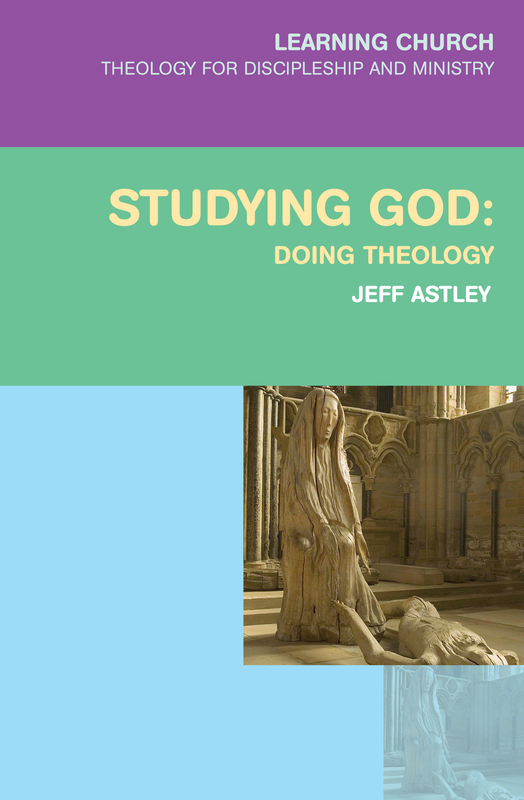 The Rt Revd John Pritchard, when serving as Chair of the National Society Council and Board of Education, said that: I’m very positive about the kind of material Jeff Astley and friends are producing. The task of shaping thoughtful, engaged Christians who can give an answer for the hope that’s in them and live confidently in their faith is one that is assuming more and more importance. I happened to chair the Church of England's Board of Education and can see how we struggle to find the right material with which to engage Christians who want more than a superficial scrape of theology. I think the kind of material I’ve seen of Jeff’s is going to hit the spot for many. We need to move on from foundation courses (Alpha and the like) so we talk about discipleship a lot in every diocese, but what we mean by discipleship is unclear and what we need to help us is scarce. These books could be a major series in this aching gap. I like the method I’ve seen so far. It encourages exploration and it takes seriously the experience and thinking of the participants. It introduces more technical ideas when they become necessary rather than front-loading them. The exercises are well conceived. There is neither academic pretension nor theological apology in this appealing pedagogy. I also like the varied contexts for delivery - both individual and corporate. We learn alone, but we learn better together if such learning is to be transformational. I also want to say a word about the authors. These are people who know their stuff in education, theology and communication. I know the quality of each, having worked with Jeff in Durham, followed Leslie’s work for years, and written a commendation of some of John’s writing. I believe their expertise will be recognised and rewarded by the publication of their work for the benefit of the Church they serve so well. 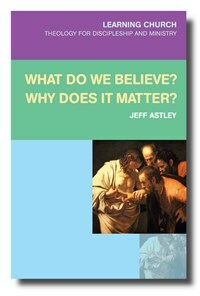 The Rt Revd Dr David Walker, Bishop of Manchester, said that the Learning Church series of short books is one of the most accessible introductions to how Christians think about the things that matter to them that I have come across. 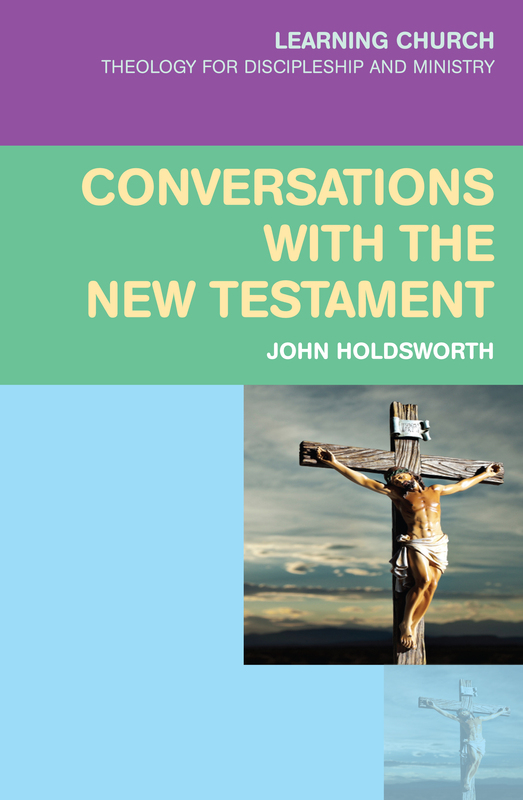 They are written for the interested churchgoer who is prepared to give a little time to understanding how we engage with subjects such as the bible, Christian belief and the call to discipleship. The authors of the various books are not merely experts in their subjects but are accustomed to teaching in an engaging style that fully respects that their readers are intelligent individuals who can be given the basic facts and knowledge with which to develop their own insights and understanding. A key and distinctive element of the books is that the text is regularly supplemented by ‘To Do’ boxes, which invite the reader to reflect on what they have read, place it in the context of their personal experience and intuition, and come to their own judgement. The questions and tasks set in the boxes can be used to provoke group discussion, where the book is being used as a resource for shared study, but they are equally suited to private reflection and consideration. For those whose appetites have been whetted by a particular discussion, a short list of suitable further reading is offered at the ends of the chapters. These are not books for those Christians who want there to be clear, unambiguous and authoritative answers to all questions of faith. Rather they will stimulate the hearts and minds of those who are willing to step further along the quest for wisdom, knowing that God is greater than all our imaginings and understandings, and that the lifelong journey he leads us on is itself a taste of heaven. The Rt Revd Dr Geoff Peddle, Bishop of Eastern Newfoundland and Labrador and former Vice-Chancellor of Queen’s College, Newfoundland, has a particular interest in the Learning Church series since he has been operating a serious programme throughout his very rural and dispersed diocese to nurture Christian discipleship and ministry. Validated through Queen’s College, Bishop Geoff Peddle has offered members of local congregations the opportunity to follow the newly conceived BTh in Theology for Discipleship and Ministry. Local Education Groups meet eight or nine times during a term to follow a module under the guidance of a local facilitator. Six modules taken over two years lead to a Certificate. Six further modules lead to a Diploma, and six more modules lead to the BTh. In Newfoundland and Labrador the programme is known simply as Exploring Faith. Bishop Geoff Peddle said that: I am very pleased to welcome and to affirm the new Learning Church series. 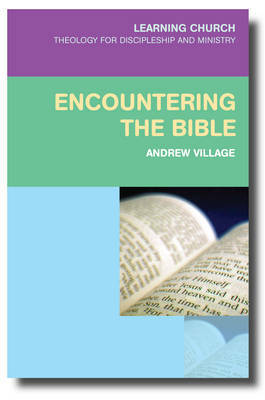 It provides precisely the kind of material that is needed to resource the Exploring Faith programme in my Diocese. Here in the Diocese of Eastern Newfoundland and Labrador in the Anglican Church of Canada we have engaged with Exploring Faith for four years now and have found a deepening of Christian discipleship and a renewed sense of vocation among the participants and the churches they serve. The students have all grown in their faith and ministries and four have even been ordained to the Diaconate as a direct result of their studies. Our own theological college, Queen’s College, in St. John’s Newfoundland, has now validated the programme and is granting Certificate, Diploma and Bachelor of Theology awards for study in Exploring Faith. As the Bishop of this vast and largely rural Diocese, I am excited that the Learning Church series will help us to provide high-quality theological education in the local setting. Many of our parishes are ‘multi-point’ with individual clergy responsible for numerous churches, working alongside lay leaders in a deep way. Indeed, the practice of the Anglican Church in Newfoundland and Labrador for the past 300 years has been one of effective lay leadership operating together with the leadership of the ordained clergy. Exploring Faith allows locally recognised lay leaders to avail of theological education in their native communities in a way that has not been available before. I look forward to deepening our relationship with Exploring Faith and with the Learning Church series so that we may all grow and learn and serve together in Christian discipleship and ministry. The Rt Revd Michael Lewis, Bishop of the Diocese of Cyprus and the Gulf, Province of Jerusalem and the Middle East, also has a special interest in the Learning Church series, since this series is being used within his diocese. He said that: In our geographically huge and scattered diocese, spanning East and West and including areas of extreme poverty, suffering, and war but also pockets of great wealth and influence, we’ve found the Learning Church series ideal for encouraging thoughtful Christians of all sorts to explore the riches of life in Christ. Both groups and individuals have paid tribute to its accessibility and freshness. Scripture, doctrine, and tradition have come alive for many and hearts and minds have been deeply engaged. During my nine years and more as bishop here I’ve been concerned to foster a climate in which everyone visits or revisits the wellsprings of Church, worship, and belief. From that, it’s been humbling and gratifying to see vocations to various kinds of public ministry emerge. But every baptised Christian is a disciple with a call to listen and learn and then both to articulate and to live the Gospel. The authors of each book in the series write so well for precisely that core project. They pitch their work excellently, with clarity, boldness, and challenge, and never a hint of condescension. The To Do boxes are well judged and the suggestions for further reading are just right. Here in Cyprus and the Gulf worshippers have an exceptionally wide range of ethnicities and backgrounds and come from many Church traditions. It’s been notable that Learning Church material has been welcomed by very mixed study groups, not least those following the Exploring Faith course, and by all sorts of individuals. I unequivocally commend the series to any diocese, deanery, or congregation committed to grown-up discipleship and mission.